Have you ever dream to take part in the real world pool championship? If yes, just choose this game immediately! Use all tips and you could be the winner, have no doubt. The only thing that you need is to have faith in yourself. We wish you good luck! Would you like to improve your skills in such a cool sport as a pool? So, choose this game and you will not regret about this game! 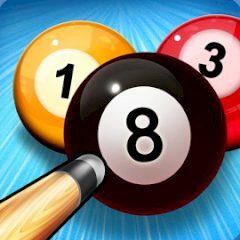 It is really easy to play, you just need to drag your billiard cue. Try to be very careful and pay attention to the color of balls. If you kick the black ball into the goal, the game will be over. So if you wanna to be the champion of this game, then do not waste your time and play it right now. Show everyone who you are. You have a great chance to play with gamers from all over the world. Take part and be the winner!